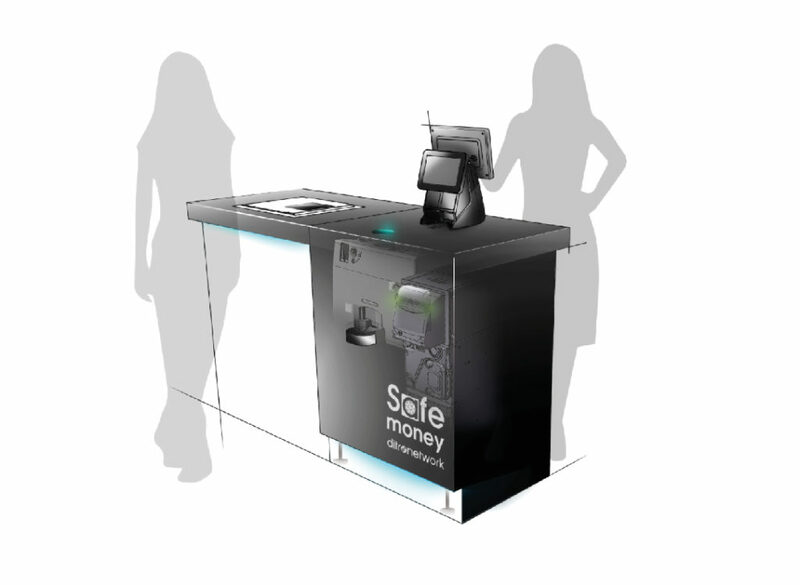 Safe Money Extreme represents the future of automatic payments for high walkable retail outlets, such as convenience stores and supermarkets. In the world of automatic cash management, money flows are an expensive and inefficient process... 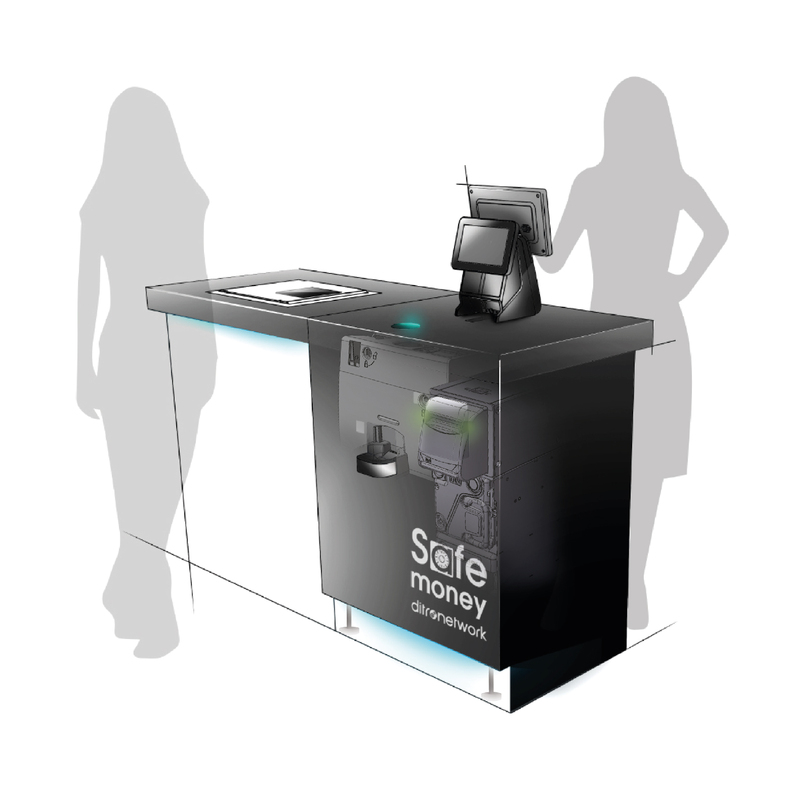 Safe Money Extreme combines highly engineered technologies into one easy-to-install system that provides maximum simplicity in payment automation. 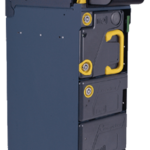 A single unit hosts a coin recycler and a banknote recycler that interface with the management software, to connect instantly with any Windows OS POS system. 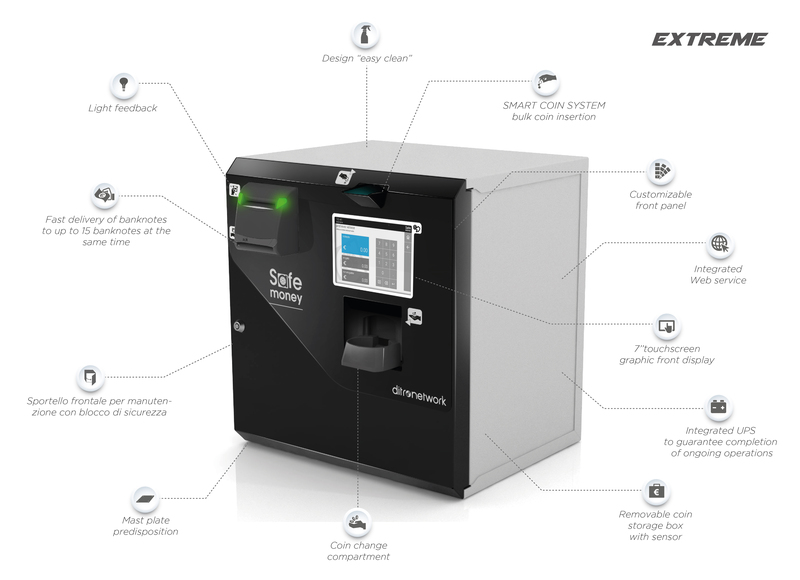 Safe Money Extreme implements a banknote recycling technology that is safe, reliable, modular and compact. 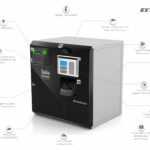 Safe Money Extreme is designed to provide all the cash handling capabilities as if it were a real "cash operator" to which you add extra security and additional benefits in the management of liquidity, ensuring the profitability of investments. 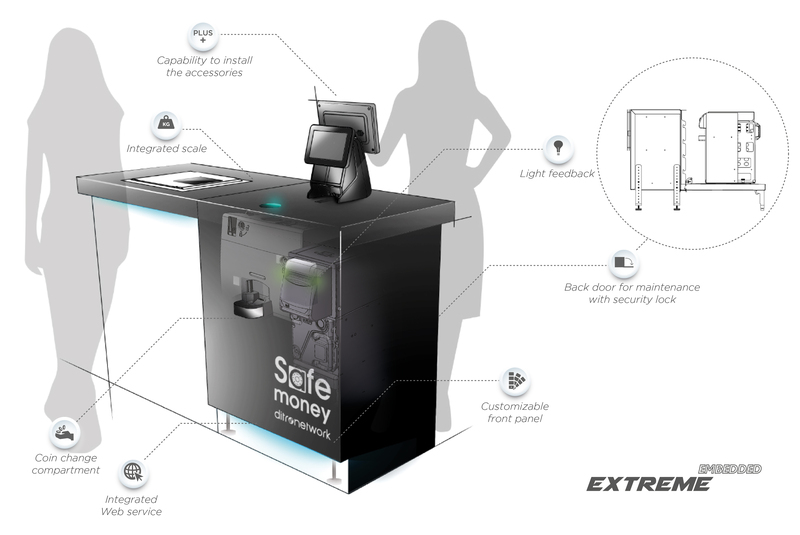 With its unique ergonomic design, Safe Money Extreme is ideal for points of sales with high flow of customers in order to ease faster and safer sales transactions. 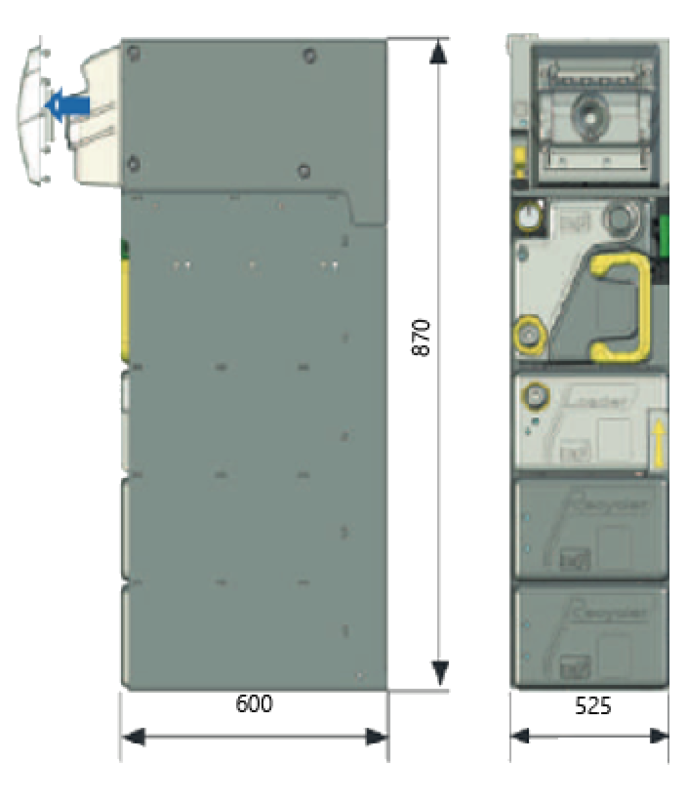 The amount of cash in the drawer for the opening is reduced by 90%. 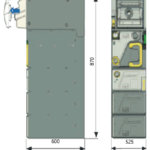 Business times are optimised, labor costs are reduced and money shortages are drastically reduced as the BNR reduces the handling of money. This also promotes better hygiene, especially in those activities which include food management. 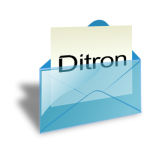 Profitability is generated by various sources including cash reductions, shortages of money, human labor, improved machine uptime, cash back functionality and improved user experience. 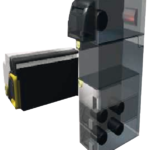 The acceptance of all the denominations and the delivery of the change in bunches up to 15 banknotes is a plus that optimizes the cash operations. 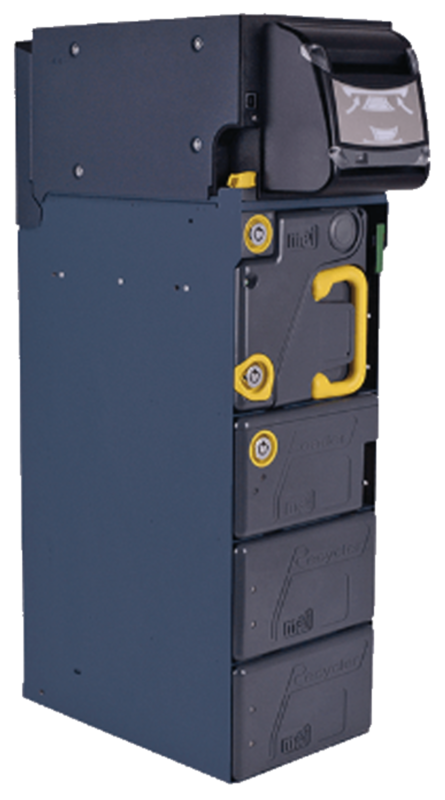 Safe Money Extreme performs flawlessly delivering the change, thanks to the use of individual recyclers, one for each denomination of coins. 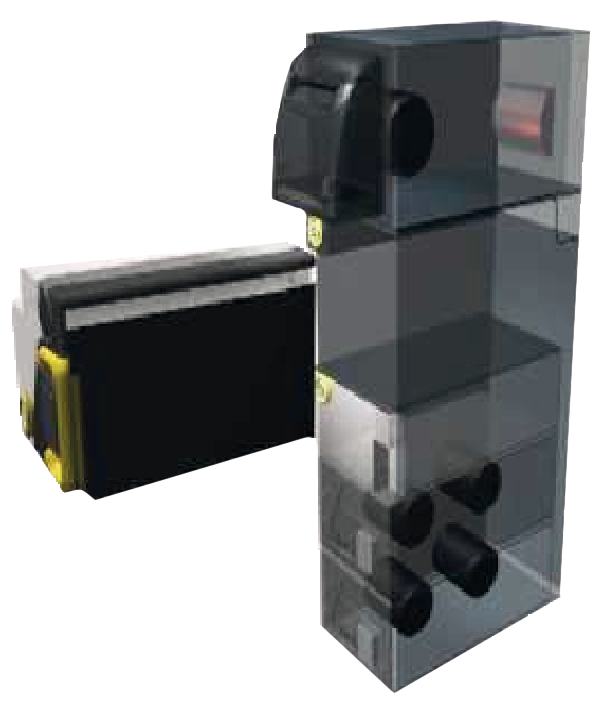 Money is kept in a sealed box activated through the use of advanced recognition technologies. 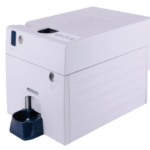 All cash transactions are optimised and simplified through the use of a single device. 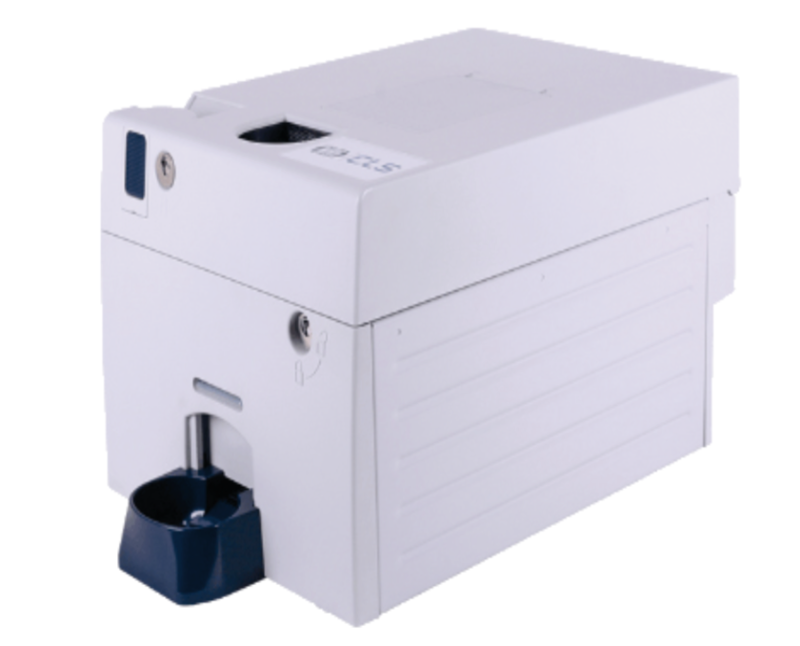 The funds are recorded electronically and stored in a single sealed cash boxes.